Clear color. Aromas of underripe pineapple, clay, and green peppercorn with a soft, bone-dry light body and a tingling, brisk yellow tomato and sand finish. A neutral rum for mixed drinks. Bottom Line: A neutral rum for mixed drinks. 82 • Big 5 Silver Rum 40% (USA) $19.99. 83 • Big 5 Gold Rum 40% (USA) $19.99. 90 • Big 5 Coconut Rum 35% (USA) $19.99. 86 • Luna Nuda 2016 Estate Grown, Pinot Grigio, Vigneti delle Dolomiti IGT 12.5% (Italy) $12.99. 85 • Luna Nuda 2016 Rosé, Italy 12.5% (Italy) $12.99. 89 • Luna Nuda NV Prosecco 11% (Italy) $12.99. 96 • Martin Miller’s Gin 40% (United Kingdom) $33.00. 97 • Martin Miller’s Westbourne Strength Gin 45.2% (United Kingdom) $45.00. 93 • Martin Miller’s 9 Moons Barrel Rested Gin 40% (United Kingdom) $57.00. White Rums are generally light-bodied (although there are a few heavy-bodied White Rums in the French islands). They are usually clear and have a very subtle flavor profile. 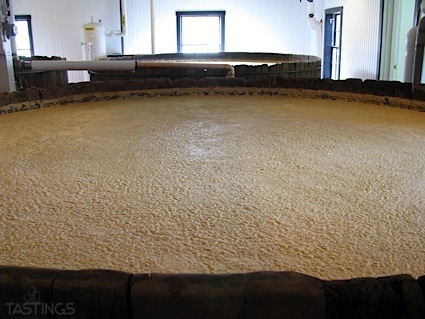 If they are aged in oak casks to create a smooth palate they are then usually filtered to remove any color. White Rums are primarily used as mixers and blend particularly well with fruit flavors. 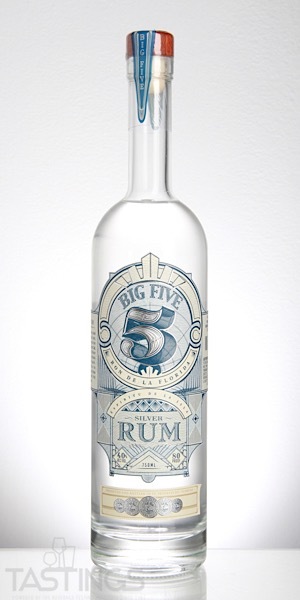 Big 5 Silver Rum rating was calculated by tastings.com to be 82 points out of 100 on 12/14/2018. Please note that MSRP may have changed since the date of our review.